Then, we read the news today that dozens (some say more) of worshipers from Shouwang Church have been taken away by police while trying to pray outdoors today in Beijing’s Haidian district. The church’s facebook page (you can search “Beijing Shouwang Church” on facebook to locate its page) has also not been updated since January. A google search turns up some results indicating that last Sunday, April 3, 2011, was the last service Shouwang held at the old venue that we visited. The church also distributed a Questions & Answers sheet (in Chinese) to its congregation about this Sunday’s outdoor service. In this document, the church made it clear that house arrests or police intervention might jeopardize the service today. The latest situation, according to new reports, is that Shouwang’s pastor and leaders are under house arrests in Beijing. Its congregation, after taken away by police, is being held up in a local school. It is almost impossible for the church and its members to communicate with the outside world about what is happening to them now. This is the first time that ChristiansInChina.com encountered this type of events throughout our investigations of Christianity in China. The Chinese government’s arbitrary or dictatorial nature is apparent if these reports are true. Its tyranny is written in each word in that “Warm Notice” on Shouwang Church’s now blank website, which we browsed only a short time ago. We will keep close watch of the situation. 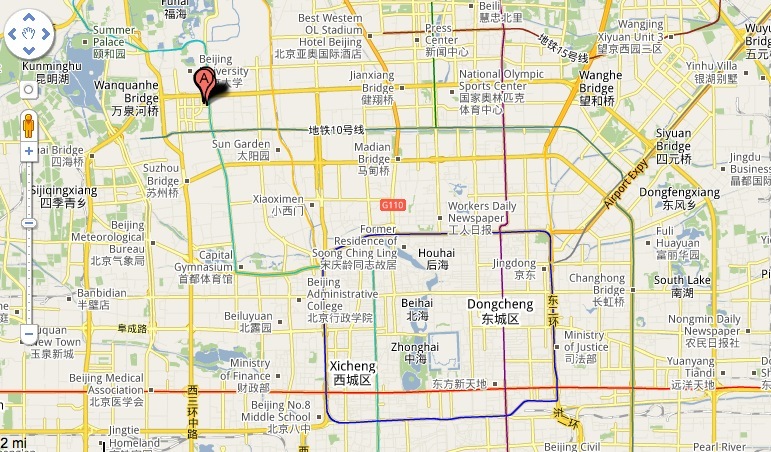 Update: For the past many weeks, church members tried to gather each Sunday in Beijing at the location below. But as always, police awaited them. The pastor continues to be under house arrest. One piece of good news, however, is that some Chinese Christian leaders have sent a letter to the government, urging a resolution between the government and Shouwang Church. Though we think the government is unlikely to relent. Brothers and sisters, whatever is of God, the Father of our Lord Jesus Christ, cannot be stopped by man. My experience is that the church grows faster were there is persecution and dies where there is none or complacency. is far beyond man’s understanding. What has began in China is unstoppable because God is behind it. The biggest danger is that all the crafty and false teachers will be heading to China if they are not there yet. However, crafty and false teachers are just too careful to risk their lives. They will wait until there is peace. Then they shall move in for a kill. As if persecution is not enough, we should do everything possible to spare our beloved ones the added pain of being ripped off or exploited by the spiritual vultures. Make this Book available to them: THE TITHING DILEMMA AND THE TRIUMPHS OF LOVE by Leonard C. Bupanda. It is wonderful book that has unveiled the tricks of the false teachers. If you truly love our Chinese fellow believers,this is a book you can recommend to them for awareness and encouragement. Otherwise, all we need to do is pray that the Lord’s name will be honoured in their lives for no one fights God’s wars. He is able to defend himself and those who stand with Him and for Him. you stayed there too short to make any serious witness, don’t you? their teaching are even object to apostals creed, which is just crazy. we are ateam of five intending to travel in end january and would love to visit the church,share a word of God with you,pray too when we arrive.